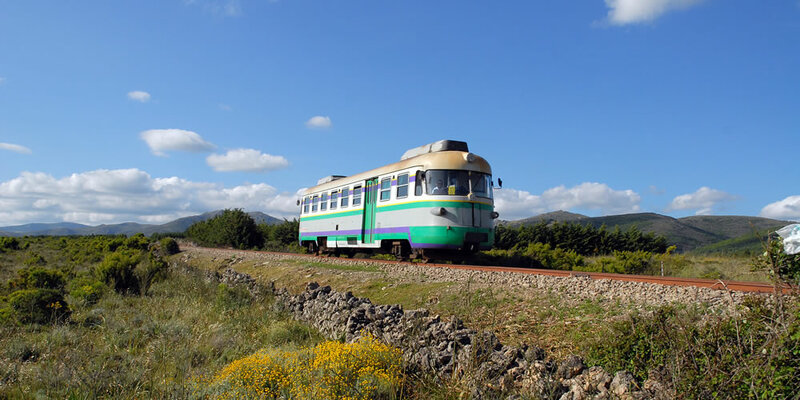 The Trenino is perfect to spend a nice time with your family. Its moderate speed lets you fully enjoy the surrounding panorama and nature, which dominates over the entire itinerary, giving you the chance to discover the true, captivating side of the territory. There are many localities worth a visit along the way. We recommend: the Caves of Gairo Tarquisara, and the Pools of Niala. Before starting the trip, ask for the brochure with the details of the itinerary and stops. For further information, please call the number +39 070 26576 – 12/22. Located in the municipality of Osini, the Staircase of St. George is one of Sardinia’s Natural Monuments. It consists of a natural passing between the Valley of the Pardu River and the Valley of Flumineddu. Through one of the natural breccia among the rocks, called Sa Brecca 'e Usala, you can easily hike up along the walls thanks to a natural staircase, in some parts equipped with a handrail that gives you the opportunity to look over the gorge. Among the most fascinating excursions on foot or by bike in the Ogliastra region, we strongly recommend visiting the natural pools in the locality of Coccorocci, in the Gairo municipality. The pools are formed by the water coming from Mt. Ferru, which flowing dawn to the valley creates these water pools set among red porphyry rocks, typical of the Ogliastra region. Surrounded by the typical Sardinian Mediterranean maquis, consisting of strawberry trees, junipers, myrtle, ferula and wild fennel, the pools are a great destination for trekking and mountain biking excursions.